Barbados In 2025: More Cars, More Roads – Or Light Rail Transit, Fewer Private Vehicles? For all the money wasted by our glorious leaders in the past ten years, we could have had a light-rail solution half way around the island. Instead, we’ve had ten years of more roads, more buses, more cars every morning – all heading to the city. Most of the private vehicles have only the driver. 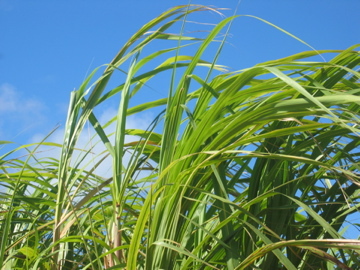 If you think our roads are crowded now, if you think that your time spent getting to and from work or school is unreasonable, if you think our quality of life and environment in Barbados is heading for the suckwell – just close your eyes and picture how Barbados will look after another ten or fifteen years of continuing to implement the same transportation “solution” of more cars, more roads, wider roads and ever more cars. Is that where you want to see Barbados in the year 2025? Unless we get some vision and leadership around this place, that is exactly where Barbados is headed. 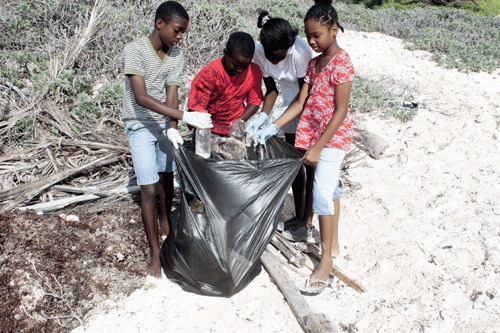 Bajan Lions & 4-H Club volunteers clean beach. That’s EXACTLY what this rock needs! Part of the problem is an attitude of “Guvment do it”, and truth be known Bajans have been told for generations that government is a solution to everything. Didn’t bother to have insurance for that house of yours that burned down? No problem – guvment repair it. Woman has four children by seven different men and can’t find a place to live? No problem – guvment find you a place. That kind of thing nurtures an expectation of cradle to grave service and problem solving by the government, but we’ve run out of money, and in truth sometimes guvment isn’t much good for anything practical. Wonderful, wonderful, wonderful. Thank you to Ranica Worrell, Akera Walcott, Denico Trotman and Bryan Haynes! Could we do this every three months country wide? Think about that. Our beaches could once again be the best in the world. Leaders, please step forward. I’ll give four mornings a year on a national clean-up. The Careenage and Harbour used to be a garbage strewn muddy dump. They have spent years cleaning it up and landscaping the surrounds. They have even restored the lift bridge to working order. However now that the area has been cleaned up and the water is far less murky (polluted?) turtles have started to appear, largely attracted by the free food from the deep-sea fishing boats moored there. They had a rope over the side with what looked like the entrails of a large fish at the end of it – two Hawksbill turtles were attempting to get bits off it. One was an adult, another a juvenile. However there was another conventional fishing rod and line with hook also dangling in the water. It was baited with fish – quite why it was there is a moot point. It was this that the adult turtle got caught on – obviously attracted to the bait on the hook. There was quite a struggle by one of the guys to ‘land’ it and the rod bent right down. Eventually the turtle surfaced and its head broke the water – my photo in hi-res clearly shows the line from the rod to the hook in its beak. Daughters of the Niger Delta is an intimate film portrait of three everyday heroines who manage to make ends meet against all odds. As their personal stories unfold, we come to see that the widely ignored environmental pollution in their backyard is not the only human rights issue affecting their lives. The film radically differs from the usual media reports about oil outputs, conflict, and kidnapping. It gives a taste of everyday life in the Niger Delta through the eyes of three ordinary women: Hannah, Naomi & Rebecca. Their struggle to survive in the delta’s beautiful but pollution-marred wetlands confronts us with the human impact of corporate irresponsibility, gender injustice, and failing government service delivery. The stories of Hannah, Naomi, and Rebecca are sobering as well as uplifting. They shed light on day-to-day injustices that we rarely hear about in the news. But they also highlight women’s strength and resilience. Despite the hardship affecting their lives, the filmed women are determined to give their children a better future. Women may be the best captains to navigate the Niger Delta out of its troubled waters – if only they were given the chance. It’s time to listen to women’s voices. Their priorities are relevant not only for the Niger Delta, but also for other parts of Nigeria that currently are marred by violence and social unrest. Women’s experiences can enrich the policy discourse – if only we are willing to listen.